Does it matter that Trump has only spent 6 percent of the ‘wall’ money? 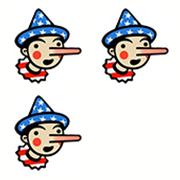 Over the holidays, The Fact Checker noticed a Democratic talking point emerge that the Trump administration has spent just 6 percent of the money allocated for construction on border fencing and repairs along the southern border. It has shown up in tweets, such as this one by Sen. Chris Murphy (D-Conn.) and in news stories. We traced this factoid to a statement by Leahy in early December. We’ve documented how President Trump claims he’s been building his promised wall even though Congress in the 2017 and 2018 fiscal years specifically denied him funds to spend on the concrete slabs that, with fanfare, he examined last year. He certainly acts as if he’s blown through the money Congress handed to the administration, given he engineered a government shutdown to extract even more funds for a wall. So, in light of Trump’s rhetoric, spending just 6 percent of the money sounds ridiculous. But, like we said, it’s a talking point — and not an especially helpful one. The expenditures portion works out to 6.3 percent. And the percentage is even lower if you look just at 2018 appropriations, in which 2.6 percent has been spent. Score one for Leahy? Not so fast. Note that total “gross obligations” stands at 93.3 percent. Congress appropriates money for a federal agency. The agency then arranges to spend that money, or obligate it, through contracts, and draws down that money over time. Essentially it’s like putting money into a checking account for your housing renovation so you can write checks to the contractors. This would argue that “obligated funds” is the best metric. But there’s another wrinkle: A Leahy staff member said that because CBP partners with the U.S. Army Corps of Engineers (USACE) to award these contracts, when CBP transfers the money to USACE, it is considered obligated. So he said it’s unclear whether any money has actually been assigned to a contract. “We believe a more sensible tracking of the money focuses on when it is spent, not just on a bureaucratic shift to another government agency,” he said. The senior administration official acknowledged the 91 percent figure reflected obligations from CBP to USACE. However, it turns out CBP has issued news releases whenever USACE signs a specific contract. Here’s $287 million (construction expected to begin in February), $167 million (February construction start), $172 to $324 million (April construction start) and $145 million (February construction start). That adds up to about $900 million just from fiscal 2018 appropriations. It’s worth noting that the appropriations bill was highly specific about how and where the money could be used, and so far CBP appears to be following that plan. Meehan said that as of Dec. 31, USACE had just less than $700 million on contract for construction in the Rio Grande Valley; Tucson and Yuma, Ariz.; and the El Centro and San Diego sectors of California. This is a good example of how lawmakers use the complexity of legislative sausage-making to confuse voters. Focusing on spending sounds reasonable, even though it’s not what lawmakers typically track when assessing how government agencies use the funds appropriated by Congress. It’s especially misleading in the case of a large infrastructure project for which Congress has given the agency up to five years to use the funds. In this case, about 60 percent of the funds have been awarded in contracts to construct fencing along the border. That’s the relevant number, which is 10 times higher than the 6 percent touted by Democrats. Leahy’s figure is not invented out of thin air, but it is misleading enough to qualify for Three Pinocchios.